By now, whether or not fans of his solution, all literary scholars — and perhaps even all readers — have confronted Franco Moretti’s classic problem: there is simply too much to read. And so, his argument goes, if critics and educators continue to rely exclusively on traditional practices of “close reading,” they must acknowledge that a vast number of literary works will necessarily go unread and unstudied as a result. Certainly this abundance is nothing new, but Moretti’s wholesale rejection of his profession’s past “exclusion strategies” may be. [T]he study of national bibliographies made me realize what a minimal fraction of the literary field we all work on: a canon of two hundred novels … sounds very large for nineteenth-century Britain … but is still less than one per cent of the novels that were actually published: twenty thousand, thirty, more, no one really knows. So Moretti proposes a different methodology for literary study, one that prides itself on its refusal to exclude: “distant reading,” a distinctly large-scale and quantitative approach to literary analysis in which “the reality of the text undergoes a process of deliberate reduction and abstraction” via conceptual models and pointplotting. He then goes on to demonstrate the usefulness of this approach by applying each of his titular models to the same field of study mentioned above: the history of the novel. In “Graphs” and “Trees,” he traces the market-driven evolution of the novel through its myriad of nineteenth-century genres and forms, and in “Maps” he interprets the fictional world(s) of Jane Austen through a historically informed understanding of her novels’ geographical settings and systems. Whether Moretti’s approach deserves to supplant or merely reside alongside previous methods of literary analysis, it seems impossible to deny its promise for fiction — and particularly for the novel, whose emergence seems most inextricable from economics and whose stories are usually clearly situated in place and time. But what of poetry, which often lacks such definitive sociohistorical settings? Can Moretti’s abstract models be applied here as well as in fiction? If so, how helpful are they in constructing meaningful analyses of individual poems, literary eras, and the evolution of poetry as a whole? Immediately, several reasons for doubt seem to arise. For quantitative diagrams don’t deal in the ineffable; they deal in “raw data”: a baseline of gathered facts whose pattern or relationship alone is to be theorized and interpreted. But what facts can poems offer about themselves? Aside from certain obvious exceptions (such as in some narrative or “talk” poems), categories of form and topic, plot and setting, all appear rather slippery and disputable, perhaps even optional. And Romanticist Stuart Curran is not the only scholar to have deemed poetry’s several blurred and overlapping subgenres “intractable.” In more contemporary criticism, Bartholomew Brinkman has also observed a sticky “consolidation of genre” that begins in poetry of the Romantic period and culminates in modernism. Thus, I wish to propose several possible applications of Moretti’s “abstract models” to the analysis of poetry in particular, ultimately reaffirming his hypothesis that such models reveal otherwise unseen patterns in and across literary texts and contexts. In the first section, in search of a diagram that might depict the character of historical trends in poetry (as Moretti’s genre-oriented “graphs” do for the novel), I will discuss the issue of genre in poetry and what Virginia Jackson calls the “lyricization” of verse. Here, I will argue that although generic distinctions may determine the novel’s various markets and therefore drive its evolution, it appears not to serve this same pivotal role for poetry, whose generic distinctions have remained comparatively static now for over a century. Hence, in the second section, I will turn to what I hypothesize may currently drive poetry’s evolution in genre’s stead: competing schools or movements. By analyzing a tree portraying part of this evolution, I will then introduce a crucial difference between my own evolutionary hypothesis and Moretti’s: in mine, literary development appears to be driven by not only selection from but also reaction against past literature. And finally, with this larger principle in mind, in the third section I will propose a model for “mapping” poetic content based not on geographical place but on image. I will conclude that through the use of these and similar models, poetry’s complex process of market-driven evolution does indeed begin to emerge — just as Moretti would predict — but that this process reveals a market far removed from the mass consumer readership of the novel. In the chapter of Graphs, Maps, Trees focused on “graphs” in particular, Moretti charts the evolution of the novel primarily via genre: “epistolary,” “gothic,” “historical,” “industrial,” etc. And soon enough, a pattern emerges: whole clusters of novelistic forms emerging at once only to vanish just a quarter century later. And Moretti’s famously sociohistorical approach seems perfectly suited to explain this pattern: generations. That is, each genre traverses a “life cycle” no longer than that of its readers. The novel’s evolution, then, is precisely the evolution of a market governed by the forces of supply and demand — with genre as its main commodity. Consumers demand certain genres over others, determining which succeed and which fail, and the publishing industry supplies the surviving genres only so long as demand for them remains. This analysis of the evolution of novelistic forms is elucidating, and a parallel diagramming of poetry’s historical development is certainly desirable. But can it be done? What are poetry’s “genres” anyway? And why does contemporary criticism comment so little on them? According to Virginia Jackson, the answer to this final question concerns a process of categorical conflation between poetry as a whole and the “lyric” mode in particular — a process which, in Dickinson’s Misery, Jackson argues was fueled and embodied by turn-of-the-century critics’ misguided attempts to augment the lyric so that it might accommodate Dickinson’s originally unclassifiable work. What Jackson’s argument narrates, then, is the effective collapse of all poetic genres into the lyric — and evidence supporting this claim saturates the last century of criticism. Indeed, even in Curran’s Poetic Form and British Romanticism, a text dedicated to the recovery of the Romantic period’s “generic conceptions,” Curran identifies the “master categories” of “literary discourse” as “narrative,” “drama,” and “lyric.” But if all poetry is also lyric, what of Curran’s alternate genres: the hymn, the ode, the pastoral, the romance, the epic? If Jackson’s theory of “lyricization” is correct, it may explain why most of these terms now smack of antiquity. Yet although the label of lyric itself has been broadened and indeed may now encompass practically the entirety of verse, Jackson makes clear that this “collapsing” of categories in criticism has not in fact led to the total extinction of such categories, but merely to their being nominally subordinated or “reduced” to the lyric. Along these same lines, Curran asserts that “[w]e have inherited the myth of a radical generic breakdown in … Romanticism that in fact never happened.” In other words, lyricization’s collapse of generic categories is by no means a fact of poetic history, but rather a construction of critical culture. This containment of lyricization to the realm of criticism implies two notable things for a Morettian modeling of poetry: first, it implies hope. For if poetic genres indeed still exist, they can likely provide the “raw data” necessary to plot and track poetry’s evolution on a fixed diagram or graph (as Moretti does with the novel). But second, and more importantly, it perhaps implies that such a graph would reveal none of Moretti’s dramatic historical patterns or trends, since the market-driven evolution of poetry appears so vastly less responsive than fiction’s. Despite being critically received and frequently marketed as lyric for over a century, alternative poetic genres somehow simply persist, surviving in the face of critical extinction. If generic change, then, were poetry’s main mode of graphable evolution, its recent history wouldn’t appear very lively. So is genre in fact, as Moretti and Curran agree, “the driving principle of … all literary history”? Perhaps. But if so, genre in poetry is not what Curran thinks it is — although it certainly may have been once. Moretti’s models prove precisely that literary history mimics biological evolution not only in its promise of environmental adaptations but also in its production of new species, and even Curran attests that the “[r]ecovery of [ancient genres] is much more common than the actual discovery of a new genre, at least in respect to poetry.” But if new species of poetic genre are rare or nonexistent nowadays, then might it be something else than genre that drives the evolution of verse? Whereas other poetic genres … may remain embedded in specific historical occasions or narratives … the poetry that comes to be understood as lyric after the eighteenth century is thought to require as its context only the occasion of its reading … My argument here is that the lyric takes form through the development of reading practices in the nineteenth and twentieth centuries that become the practice of literary criticism … This is to say the notion of the lyric enlarged in direct proportion to the diminution of the varieties of poetry … as the idea of the lyric was itself produced by a critical culture. Here, Jackson highlights the dramatic historical change that occasions the phenomenon of lyricization: what we might call the “decontextualization” of poetry, in which social ritual and cultural myth gradually bequeath poetry to the academy, and originally performative or socially embedded genre categories begin being filtered through the “fictive persona” of the printed page. That is, Jackson’s theory of lyricization narrates precisely the story of a market shift for poetry, a change in audience (and hence in demand) which — in a surprisingly Morettian twist — would ultimately dictate a lasting departure in poetic evolution away from generic concerns. After all, what better way for poetry to adapt to its new scholarly environment than to flower in theory instead of in form, and to sprout up not genres but “schools”? With “critical culture” having apparently acquired enough power over poetry to diminish its very categories of reception, new categories — and with them new markets — had to be established within and in legible response to that culture. The result, rather predictably, is a poetry more conscious of itself and its own priorities than ever before, one ready to explain and justify itself through personal manifestos at every turn, and one which today demands that a published poet be able to produce an “artist statement” aligning his/her work with a particular set of aesthetic goals. Despite this model’s obvious conceptual limitations — its inattention to precise chronology, short-lived “missing links,” cross-branch interaction, etc. — its oversimplified form may nonetheless reveal much about the nature of “post-lyricized” poetic lines of influence. Firstly, modernism’s “roots” in Symbolism and Realism already suggest a tense competitive deliberation in poetry between external responsibility and internal composition. 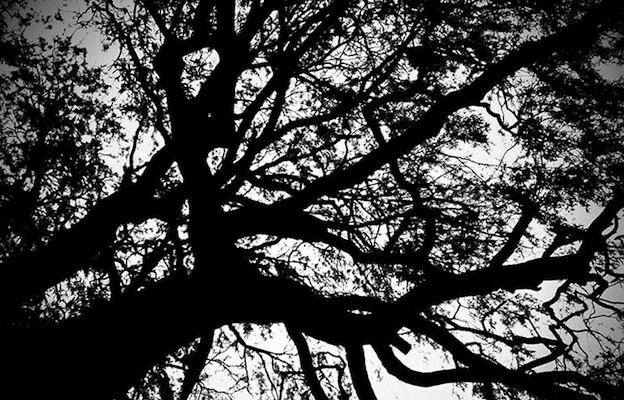 In other words, poets were already beginning to offer explicit responses to precisely the perennial questions of theory: “What is literature?” and “What should it do?” Next, in the tree’s “aboveground” branchings, these theoretical camps become more and more specialized, focusing and refining their questions as they go. Though most movements address all such questions to some degree, the ranking of their priorities varies widely. In brief, the Harlem Renaissance takes up social responsibility (How can/should poetry change society? ); Futurism the external image (What/how should poetry represent? ); Dada craft (How does/should one compose poetry? ); and the Black Mountain School rhythm and sound (What is a line and how does it mean?). Of course, still further questions arise from still further divisions. But the point is that the evolution of poetry — at least since lyricization signaled its environmental shift from social occasion to scholarly page — has become precisely the evolution of applied poetic theory. Modern and contemporary poetry engages theoretical issues, then, not out of some existential necessity for greater self-understanding, but because its market — its specific arrangement of producers and consumers — is something of an incestuous one. Most consumers are either professional consumers (critics) or also producers (poets), and nearly all others read foremost in scholarly settings, which demand similar attention to theory. The upshot of this argument may strike as surprising: poetry’s “inward” turn to theory, given its audience, made it not less relevant, but more. So far, all of this only confirms Morettian thinking: literature evolves by adapting to its environment, and its environment is its market, its audience, its readership. However, the market that literary theory attracts — that of academics and particularly scholars of the humanities — is much different than that of the mass public, especially in its curious positioning of the consumer in relation to opposed or competing products. For whereas a traditional free-market economy fancies itself “consumer-centered,” supposedly relying on the tastes of choosy customers to decide which products die and which survive, academia is in many ways just the reverse — production-centered, where the consumption of text is almost never merely consumption, but rather fuel for further text production. This focus of the consumer on intellectual takeaway rather than personal taste, use rather than enjoyment, allows authors greater leeway to achieve precisely what Curran cites as poetry’s main means of variation: subversion of expectation, rejection of former ideals, divergence from precursors. According to Moretti’s models depicting novelistic “natural selection” at work, conversely, the selection is entirely the consumers’. In his example concerning detective fiction, for instance, Morretti explains that “the literary market” is marked by “ruthless competition — hinging on form. Readers discover that they like a certain device, and if a story doesn’t seem to include it, they simply don’t read it (and the story becomes extinct).” But how can poetry’s pathways through modernism possibly be explained via readerly tastes? Often avant-garde poetics, exemplified in modernism by Dada and Surrealism, was seen as an affront to readers who associated art with order; yet Andre Breton’s “First Surrealist Manifesto” emerged nonetheless, influencing successors on its own “branch” as well as on every other, and significantly revised its precursor in Dada by exalting and politicizing the “automatic” unconscious over the found readymades of Duchamp. And in turn, though highly influenced by Surrealism, the founders of Oulipo rejected Breton’s unconscious inspiration in favor of mathematical constraints, each thwarting the force of authorial will but by decidedly different routes. A Morrettian may call these men “readers,” of course, but they are certainly not only consumers. Thus, in part due to its differing audience, modern and contemporary poetry seems to have evolved differently than the novel. While (according to Moretti) the novel evolves primarily by readers choosing, dismissing, or refining genres, poetry seems nowadays to evolve more like theory: by published authors waging ever-fracturing battles of ideas, engaging with the academy, and recruiting entire “schools” of disciples to help them. 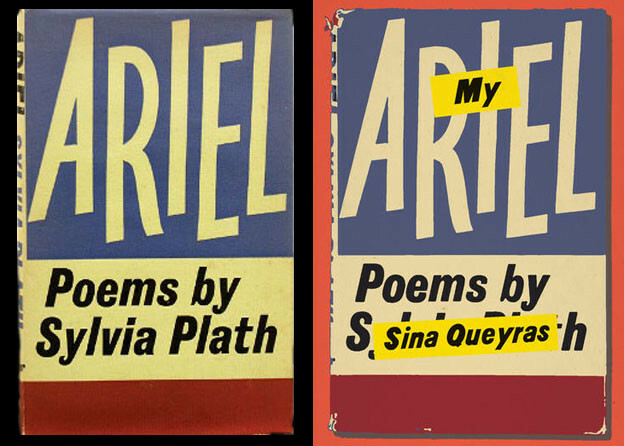 Though both evolutions can be dubbed “market-driven” in a sense, poetry’s market seems to allow for more authorial flexibility, experimentation, and innovation. One reason for this may indeed be academia’s self-professed relish for new ideas and rich theoretical controversy (often at the expense of mere “pleasure” or entertainment), but another reason must lie in academia’s central site of evaluation — and elimination. Not in sales, but in publishing, printing, and reprinting. Moretti’s example of the detective story’s evolution, though instrumental to his argument, unfortunately yields one rather unsettling conclusion: the canon may actually reflect the true “fittest” to survive in literature. The way Moretti explains it, the one major canonical author of detective fiction, Arthur Conan Doyle, naturally outshone and outsold his competitors through a veritable audience consensus. And what’s more, he ascribes Doyle’s success not to a mere trend in taste, but to the objective “technical feat” of his work. This may all of course be true of Doyle and his competitors; Moretti makes a compelling argument, and I see no reason to distrust it. But its implications concerning the canon seem dangerous, especially when applied to the annals of poetry, where canonical status historically appears to depend more on critical approval and anthological reproduction than on market consumption. Based on Moretti’s account, canon formation seems almost inadvertent, a happy accident of literary evolution in which the strong simply outlive the weak, and truly “great” authors surpass their competitors fair and square through a quasi-democratic process of election. Yet this is far from the story of canon formation that poetry’s history tells. The difference between the two, moreover, I believe can also be ascribed to poetry’s distinctively scholarly market. According to Alastair Fowler’s Kinds of Literature, three main kinds of literary canon can be distinguished: “the potential, the accessible, and the selective.” These three categories are perhaps best summarized by Alan Golding in From Outlaw to Classic as “describ[ing] the narrowing-down process” by which any tiny canon is established. First, the “potential canon” refers to all extant literature, meaning all the literature that, “simply because it exists, any reader could potentially read.” The “accessible canon,” in turn, refers to “that part of the potential canon to which readers have fairly easy access,” whether in the form of “scholarly reprints, affordable paperbacks, or anthologies.” And finally, the “selective canon” refers to “those works in the accessible canon that trained readers have selected as especially worthy of attention.” Clearly only this third and final category designates what we normally mean by the term canon. Yet Moretti seems to consistently conflate the other two categories in his discussions of the novel’s evolution — and perhaps with good cause. Never does Moretti claim to have access to “all extant” novels, to be sure, but he at least presumes most published novels have undergone the same critical audience-evaluation process as Doyle’s. And although this could certainly be the case for novelistic fiction, whose market once again is vast and consumer-centered (and hence overflowing with “affordable paperbacks”), Golding reminds us it isn’t always the case for poetry, whose smaller readership within or adjacent to the academy frequently relegates even recently published works to the obscure fate of dissertations and historical documents: “[S]election precedes as well as follows the formation of the accessible canon, affecting the form that ‘accessibility’ takes. Some texts are considered worth keeping in print in a readily available form, while others survive only in the dark corners of university libraries.” So how can readers democratically select a canon from a set of texts to which they have no access? Golding’s answer, put simply, is that they don’t. Instead, “trained readers” do, but not always fairly or well. In fact, Golding argues that for many poetry anthologists “[e]xhibiting the historical range of American poetry meant exhibiting it at less than its best,” and that at times “the moral status quo” of American culture “effectively controlled the … range of subject matter in canonical poetry.” This argument depicts a very intentional canon formation indeed — a process that can be characterized as insidious at worst, biased at best. How might one go about mapping a poem that lacks clear geographical movement or even identifiable setting? One answer to this question may be found in the type of diagram presented above: a map that depicts not place but image, not absolute locations but relative changes in its visual scale, size, and scope. Of course, such a model would show little of interest when applied to a poem without major scalar variation, but it’s notable that Moretti’s own maps would prove comparably futile if applied to novels set entirely in one place. Furthermore, despite its limitations, when applied to Pound’s poem the model yields striking results. Just as in Moretti’s various models, immediately a pattern emerges. In particular, by tracing the poem’s specific sequence of variously scaled images, one finds that it follows an increasingly focused “pulsing” pattern in which even the title participates: from the (smaller) station to the (larger) metro, from the (still smaller) faces to the (larger) crowd, and finally from the (smallest) petals to the (larger) bough. The pairing of this reversal with Pound’s pulsation, moreover, may speak to Loy’s association with both Surrealism and Futurism. For as Pound’s Futurist-inspired Imagism suggests, Futurism prioritizes image and speed, whereas Surrealism prioritizes absurdity and dreamscape. Thus, Pound’s poem may actually reveal a template of sorts for the composition of Futurist/Imagist poetry — one which through Morettian mapping can be detected in both canonical and noncanonical writings alike. Ultimately, then, some semblance of Moretti’s “abstract models for literary analysis” can and should be applied to poetry, despite the “intractability” of its genres. Not because Moretti’s idea is gaining traction, although it is. Not because his models yield results, although they do. And not because the course of all literary evolution turns out to be determined by the buying public, because it doesn’t. Moretti’s models ought to be applied to poetry, on the contrary, because — as he so graciously reminds us — a comprehensive understanding of literary history is yet to be reached. And why is it yet to be reached? Not because “there’s too much to read,” although there is. Not because attempting such a project would require Moretti’s method, although it might. But because the Western ‘canon’ has been exposed as a deliberate distortion, rather than an authoritative encapsulation, of that history. With Moretti’s help, may we work to rectify and clarify this distortion for all literature — not just for the novel remembered only by a sales-ledger, but for the book of poems forgotten even by its campus call number, reprinted once or never at all. 1. Franco Moretti, “Conjectures on World Literature,” New Left Review 1 (2000). 2. Franco Moretti, Graphs, Maps, Trees (London: Verso, 2005). 5. Moretti, Graphs, Maps, Trees. 6. Stuart Curran, Poetic Form and British Romanticism (New York: Oxford University Press, 1986), 85. 7. Bartholomew Brinkman, “Making Modern Poetry: Format, Genre and the Invention of Imagism(e),” Journal of Modern Literature 32, no. 2 (Winter 2009): 20. 8. Moretti, Graphs, Maps, Trees, 19. 11. Virginia Jackson, Dickinson’s Misery: A Theory of Lyric Reading (Princeton: Princeton University Press, 2005). 12. Curran, Poetic Form, 5. 13. Jackson, Dickinson's Misery, 7–8. See also “The New Lyric Studies,” PMLA 123, no. 1 (January 2008): 181–234. 14. Curran, Poetic Form, 5. 17. Moretti, Graphs, Maps, Trees, 19. 19. Jackson, Dickinson’s Misery, 7-8. 21. Curran, Poetic Form, 8. 22. Moretti, Graphs, Maps, Trees, 72. 24. Alastair Fowler, Kinds of Literature: An Introduction to the Theory of Genres and Modes (Cambridge: Harvard University Press, 1982), 213–16. 25. Alan Golding, From Outlaw to Classic: Canons in American Poetry (Madison: University of Wisconsin Press, 1995), 3. 31. Ezra Pound, “In a Station of the Metro,” Poetry (1913). 32. Mina Loy, “The Dead,” in The Lost Lunar Baedeker: Poems of Mina Loy, ed. Roger L. Conover (New York: Farrar, Straus, Giroux, 1996), 72–73.